When I first joined as a part of this blog, I didn’t realize how difficult it would be to conjure up posts. Obviously, my last one was spur of the moment – I emailed it to Meghan and asked her to replace my original post, which was meant to be as an introduction of Elentiya’s journey with CHD. I never dreamed that I would have had to write a post about another Warrior earning his wings. A month after Strati passed away, Elentiya was admitted to 4D for the fourth time in her short life; it was the hardest admission we had have to deal with. A month after we stood by our friends as their little boy fought heart failure, we were suddenly in a similar situation. Elentiya was diagnosed with Acute Heart Failure, and the fear was real. We had seen Strati fight so hard with his own heart failing, and the fight to have him listed for a transplant, and here we were, no longer being followed by the Single V team, but being switched to the Heart Function team. Acute Heart Failure. I had a family member say to me, shortly after we announced the diagnosis, “it’s not as bad as it sounds, is it?” and I honestly didn’t know how to reply. What part of those three words doesn’t sound bad? And what, of the things that come with it, isn’t as bad as “Heart Failure” sounds? Things were supposed to get easier after Elentiya’s Glenn; at least, that’s what we were told. That was how things normally went. But, as my parents put it, Elentiya is like her mother: she doesn’t do anything the easy way, and when something happens it can never be a small occurrence – it has to be the whole shebang. I have had days, especially recently, where I want to throw in the towel. My life is so far from normal; so far from what I thought it would be at almost 23 years old. Don’t get me wrong, I love being a mother, and I seem to have found my passion through the CHD community, but this road isn’t an easy one by any means. In fact, some days just seem so hard that I wonder what I did, or who I upset, to be dealt this hand. What did I do to have my only child be born with such a vital part of her body fight against her? Why did I bring Elentiya into this world, when all she seems to do is suffer? Those are the days I feel sorry for myself; the days when I see other people doing normal people things – going out, getting an education , working… Things that I don’t get the luxury of doing anymore. 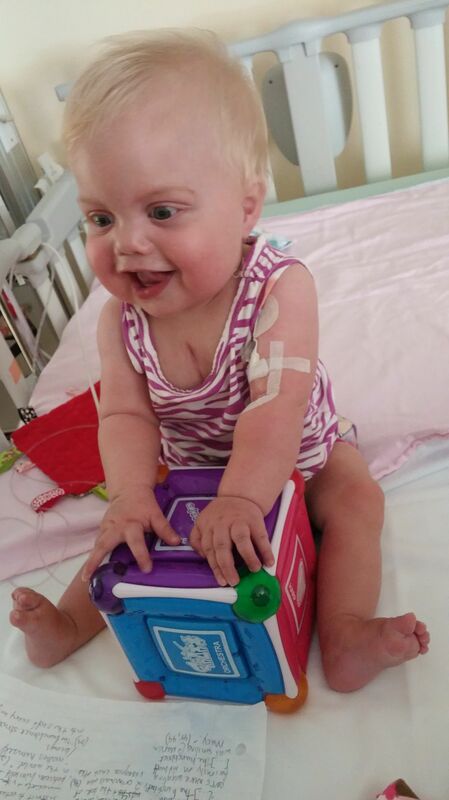 On August 15, 2014, Elentiya was listed with the Trillium Gift of Life Network for a heart transplant. 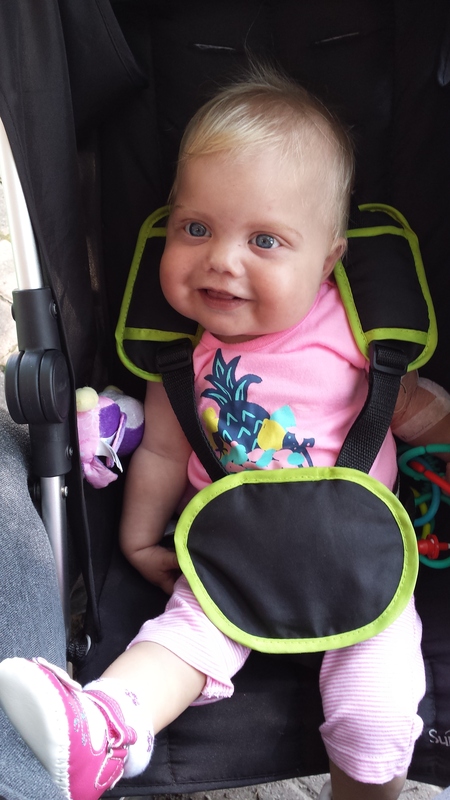 My biggest fear, from day one, was that my beautiful little girl was going to need a new heart. 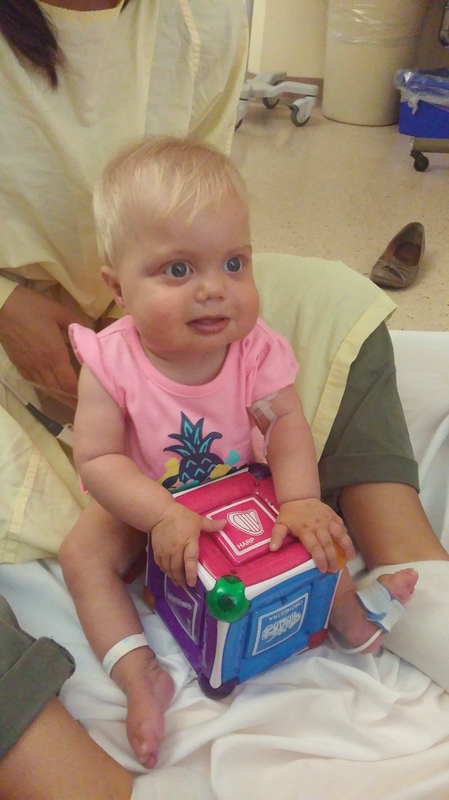 We all know how having a CHD is so limiting and terrifying, but the concept of giving her a new heart… That goes above and beyond the simplicity, if you will, of HLHS. 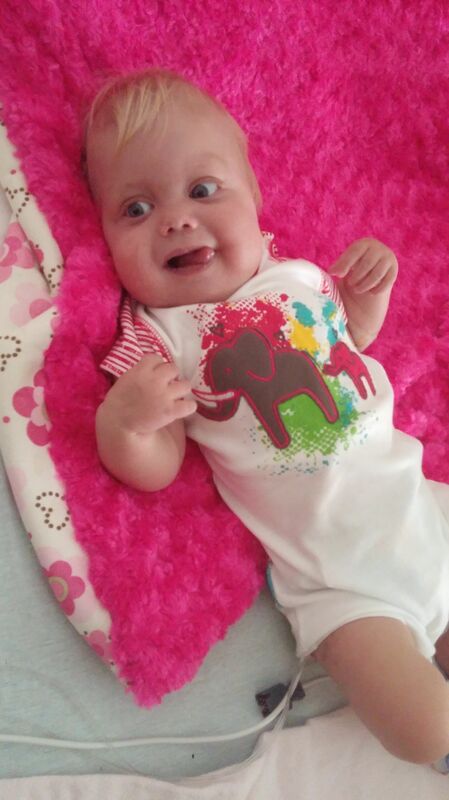 On August 15, 2014, all of my biggest fears in relation to my daughter and CHD became real. I should have been relieved that she was successfully listed for transplant – a new heart would mean no Fontan. It would mean being able to take trips to places like Disneyworld. It would mean being able to be “normal”: I could put Elentiya in daycare and follow my dream of becoming a Cardiac Nurse (that shouldn’t surprise anyone, by the way; I am, in a sense, a pseudo-nurse as is.) What is the normal way that someone should react when their biggest fears are right there in their face? I cried. I was angry. I was sad. Most of all, I was terrified. We had been given a 1 in 4 chance that Elentiya won’t make the 9month-1 year+ wait for a new heart. And that’s with her being on the milrinone to keep her heart as healthy as can be. How could I – how could anyone – not be scared with those odds? “A 75% chance of surviving is a better way to look at it,” is what I’ve been told, and I absolutely agree. But people need to understand – Elentiya is 1 in 100. Elentiya having HLHS was a 1% chance. One percent. Tell me how one can focus on the bigger, more positive number, when the smallest and worst number is the number their child was given? But enough feeling sorry for myself. It is what it is, which seems to have become my motto. Elentiya needs a new heart – a new life, even – and all we can do is wait for it. In the meantime, she is being “optimized” by her entire team. Her OT is working with her every day, and she is meeting milestones above and beyond what we expect of her. She’s been put on 1.1 kCal for her feeds, and because she is doing amazingly with “real” foods now, she is being cycled over 18 hours, which means she has 6 hours in a day where she doesn’t need to be “plugged in” to her g-tube. On those days where I find myself struggling to smile, or more often, struggling not to cry, I look at my daughter and realize how amazing she is. She has fought every single day of her life, and she will continue fighting, even after she receives a new heart. She is my biggest inspiration. She is my Hero. I wrote that blog just over a month and a half ago, and a lot has changed since. Three hundred and sixty-five days ago, Jon and I welcomed a little Blessing in the form of a 6lb 1oz baby girl, with big blue eyes and a head of blonde hair. In many ways, Elentiya was perfect. 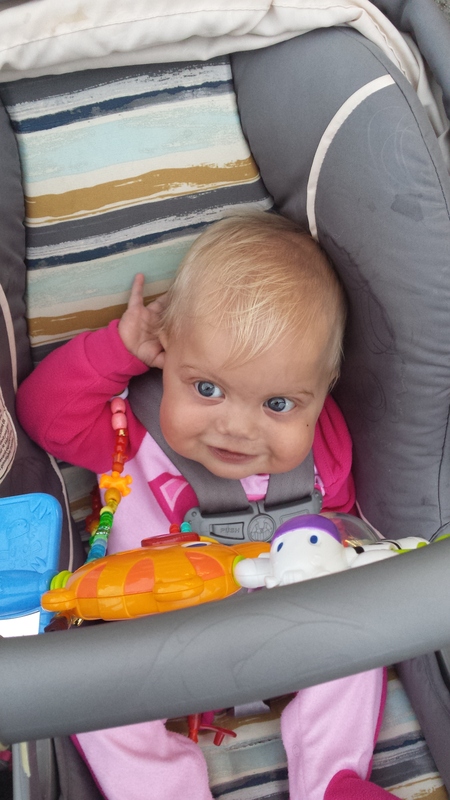 Eleven days ago, on September 19, Jon and I said good-bye to that same little Blessing. From the very beginning we had said that this battle was Elentiya’s to fight, and we would fight alongside her until she couldn’t anymore. We said we would know when she couldn’t do it anymore. We knew. I don’t think it’s important for me to go into detail about what happened during her last few days. Those last few days didn’t define our daughter. The way she was, full of character and amazement… Elentiya defined herself. She went peacefully, just so everyone’s mind is at ease. We all did everything that we could, her little heart just couldn’t handle it anymore. I held her, and she held her daddy’s hand, right up until she took her last breaths. I think it’s a normal reaction to question things as time goes on. If she had been listed when we wanted her to be, would it have been different? 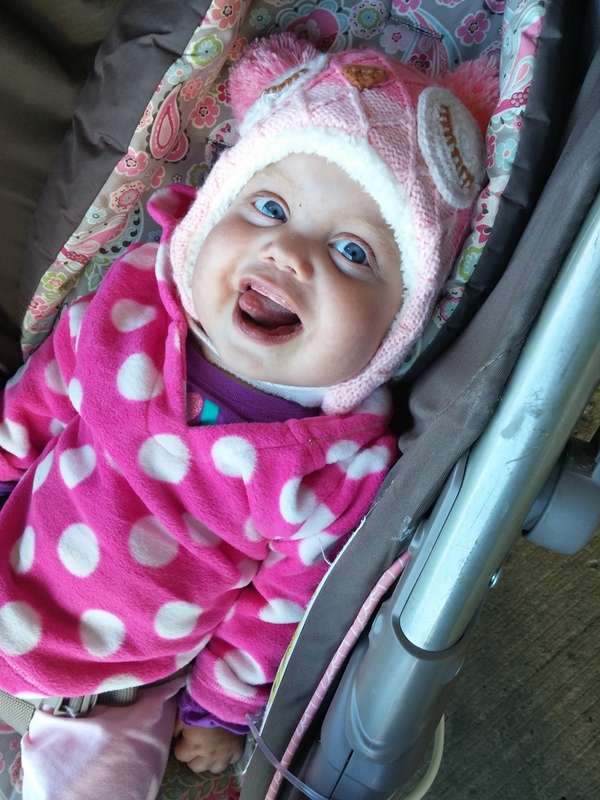 If we hadn’t pushed her to be on cpap, would it have been different? 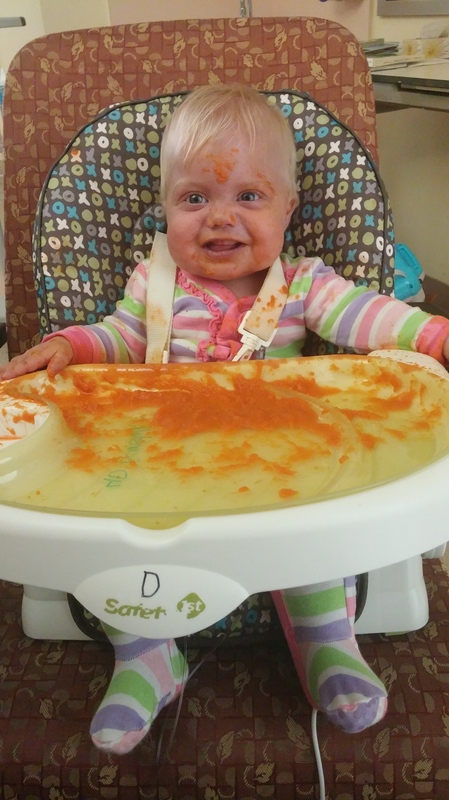 Why couldn’t she have waited for her first birthday? The truth is, nothing could have changed the outcome. And I can truly say I wouldn’t have wanted anything to change. Elentiya touched a lot of hearts. She is mourned and missed by so many people. It’s true that we said good-bye to her, but in the grand scheme of things, she never went anywhere. From a personal standpoint, my daughter is everywhere. She is the breeze that surrounds me on a cool day. She is the sunshine that warms my entire being – inside and out. She is the smile and laugh of all the other children I see. She is truly an unbroken spirit – the force that drives me to be more than I am, and do more than just what I plan to. I miss her terribly. I watch her videos, look at her pictures, smell her clothing… I do cry at least once a day. The tears are both joyful and heartbroken. I’m happy that I was given the chance to be her mother, and to learn and grow with her. But I’m also sad to know that I will never hold her again, or see her start school. Jon and I will be going on a vacation in the upcoming weeks. Somewhere warm, where we can relax and come home again with a clear mind. We’ll take some of our daughter’s ashes and sprinkle them in the sea. She always loved swimming, and now that way she can swim for as long as she wants. I’m carrying on with my plans to become a Cardiac nurse. Starting in January I’ll be taking the Pre Health Science program at George Brown, to prepare myself for 3 years of nursing school. I promised Elentiya that I wouldn’t give up on my dreams, and that I would help children just like her, and parents just like us. In the end, Elentiya gave me purpose. She taught me not to sweat the small stuff. She showed me what it’s like to feel a happiness so strong that it swells up inside of me. She left me with a promise that I will never be the same person I was three hundred and fifty-two days ago. Similar to the tattoo of her name that is on my wrist, Elentiya has left me with an eternal mark, an undying love for someone who loved so unconditionally. Caitlin is a regular blogger for Cardiac Kids, to learn more about her click here. Please check back next week for a special post from a guest blogger. During our journey with Elentiya, we met and became very close with a couple whose son Efstratios was also born with HLHS, 11 days before Elentiya. Because their birth dates were so close, we went through everything at the exact same time – Norwood, PICC lines, catheterizations, discharges, being admitted, and the Glenn – and we became very good friends. In fact, it turned out they live not even 10 minutes away from us, and there were a lot of similarities and coincidences. Both Strati’s mother and I found out at 22 weeks pregnant via fetal echo, performed (and informed) by Dr. Nield at Toronto East General. We were both meant to deliver at TEGH, but were both transferred to Sinai because of our babies’ hearts. Dr. Van Arsdell performed both of their Norwoods and Glenns. Strati was born September 19, 2013 at 2:41am, delivered by Dr. Malinowski at Mount Sinai Hospital. Elentiya was born September 30, 2013 at 4:21pm, also delivered by Dr. Malinowski at Mount Sinai Hospital. The list goes on. Strati had been having a lot of complications post-Glenn, and he was set to have his chest closed on May 9, 2014, two weeks after he received the Ventricular Assistive Device, and was to be reassessed for a transplant. That evening, I texted his mother to find out how things went. My heart broke when I read her response – I couldn’t even tell Jon what the text said. At not even eight months old, Efstratios had suffered a major stroke which left him ineligible for a heart transplant. He passed away in his mother’s arms, May 9, 2014. I can’t even begin to explain the overwhelming emotions that took over – I was heartbroken, sad, terrified, embarrassed, relieved… Everything under the sun that you can feel, I’m pretty sure I felt it. I loved Strati almost as much as I love Elentiya. He was an adorable chunky baby, full of love and spirit… It wasn’t fair. I was relieved, because I knew that his passing meant that Strati wouldn’t suffer anymore, and his parents would never have to worry about his heart again. I was embarrassed because I felt relief for it not being Elentiya. Embarrassed because I texted his mother to find out whether he’d been closed, only to find out he didn’t make it. This week has been rough – between finding out about his death, Elentiya having a cold, rushing her to Emerge the day of Strati’s viewing because we were worried it may be something respiratory, attending his service and burial, I’m sitting here numb beyond belief; and I’m not even Strati’s mother. This experience has only reiterated the important things I’ve discovered on this journey; other parents are your biggest support, expect the unexpected, and the nurses we meet along the way are amazing. Our Cardiac Kids are so precious and so fragile, yet so incredibly strong and full of life. We have so much to learn from them and our experiences; every second we have in this life should be cherished – especially the seconds we have with our babies, Cardiac or not. I do not know how Elentiya can have been through so much in so little time, and yet still wake up every morning with a beautiful smile on her face. And I don’t know how Strati’s parents are still going on, without being able to see their son’s beautiful smile. Rest in Paradise, Efstratios. September 19, 2013 – May 9, 2014. Be sure to check back in 2 weeks for Melissa’s first post!